The Pro-Ject Debut Carbon turntable was an instant hit from Day One. Almost immediately after it was released, it won a highly coveted award for Hi-Fi manufacturers: the EISA award, which gives prizes to the best performing products in the audio, photography and technology sectors. This turntable is Pro-Ject best-seller, boasting exceptional sound reproduction quality and top-of-the-range technology. The sound it creates is both precise and dynamic. It comes in 8 colours, from the classic black and white through to blue, green, yellow, red and even purple! 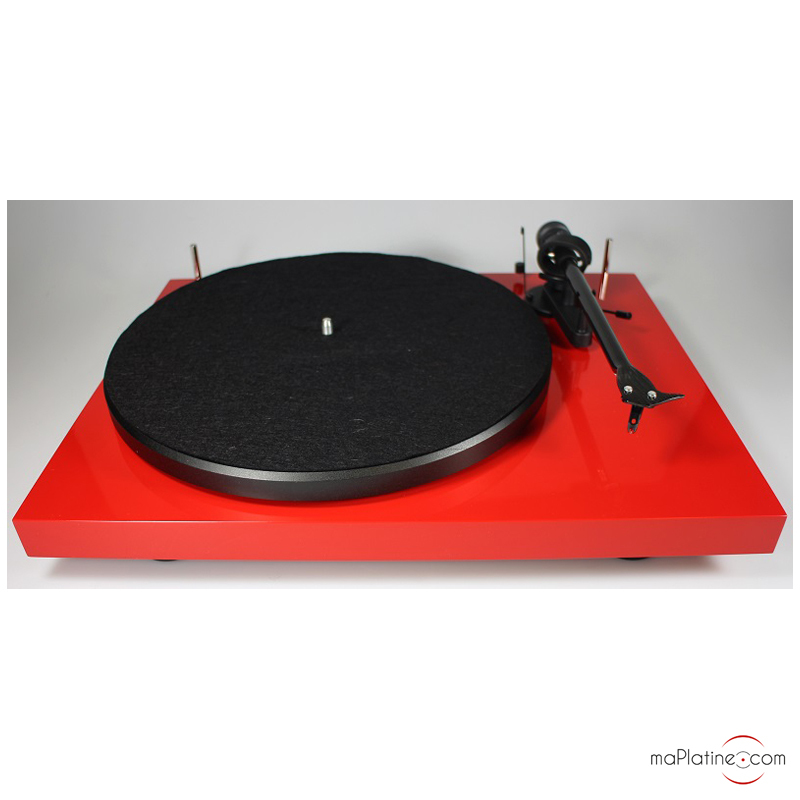 Not long ago, Pro-Ject released a Special Edition version fitted with the Ortofon 2M Red cartridge as standard. Just another gold standard product to add to Pro-Ject’s collection!